Situated on a busy street, this well maintained townhouse is a GREAT VALUE for your Buyers! 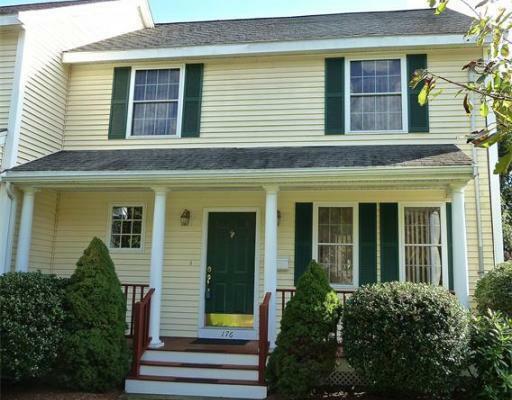 A farmers porch welcomes you home to this seven-room, 2 bath, townhouse at the Crossings. The kitchen boasts a granite countertop with breakfast bar. The microwave, refrigerator and garbage disposal have been replaced within the last 4 years. The 1st floor with gleaming hardwood floors has a cathedral ceiling family room with two skylights, a gas fireplace and sliders to the side deck. The dining room has crown moldings and French doors to the living room. The second floor has 3 bedrooms with newer wall-to-wall carpeting. The master suite includes a full bath with Jacuzzi and a walk-in closet. The washer/dryer and refrigerator have transferable service contracts through 08/01/2014. Additional features include 1st floor laundry, central air conditioning, a 2-car garage with storage area and a lawn sprinkler.